At 5pm on St George’s Day there is only one place any rightful Englishman should be. In the pub. That’s the real castle for us dragon-slaying proud Englishmen. So here I was, in the most 21st century of English establishments, J D Wetherspoon. You cannot grumble at paying £2.29 for a pint of Blueberry Pie, a fruity English stout with a distinct purplish tinge. And what better circumstances than saluting our national saint and preparing to watch our national game. So after the highs of the away trip to Harrow Borough on Saturday, we woke up on Sunday with a fuzzy head and a realisation that one more win could be enough to secure Premier League survival for another season. That game would be against Cray Wanderers, just one place and two points above us. Bromley (South) was our destination, and after a short hop, skip and a jump from JD Wetherspoon (Victoria Station) we were in JD Wetherspoon (Bromley). A first for me – two Wetherspoon’s in less than a hour. Of course with wallet busting prices at £2.20 a pint I got the first round in. Clever thinking, eh. Ah yes, we only had time for one. Bugger. But still it was in jovial spirits that we left the pub for the short taxi ride to Hayes Lane, home of Bromley FC and their tenants, Cray Wanderers, the world’s third oldest football club. These are testing times for Cray. Mr. Relegation has been hanging around outside Hayes Lane for the past few weeks, waiting for an opportunity to pop in. Their groundshare agreement with Bromley is due to end next year, and the prospect of a return to the heartlands of St Paul’s Cray seem further away than ever after Bromley council rejected their planning application for a new community stadium in September. You often have to wonder whether local authorities actually want to see local football teams survive. Despite all of the hard work of volunteers to secure a long term future for the club AND a benefit to the local community, Cray are back at square one, still having to worry about relegation just like Lewes. I like going to watch Cray Wanderers and it will be a terrible shame if they are forced into a nomadic existence. 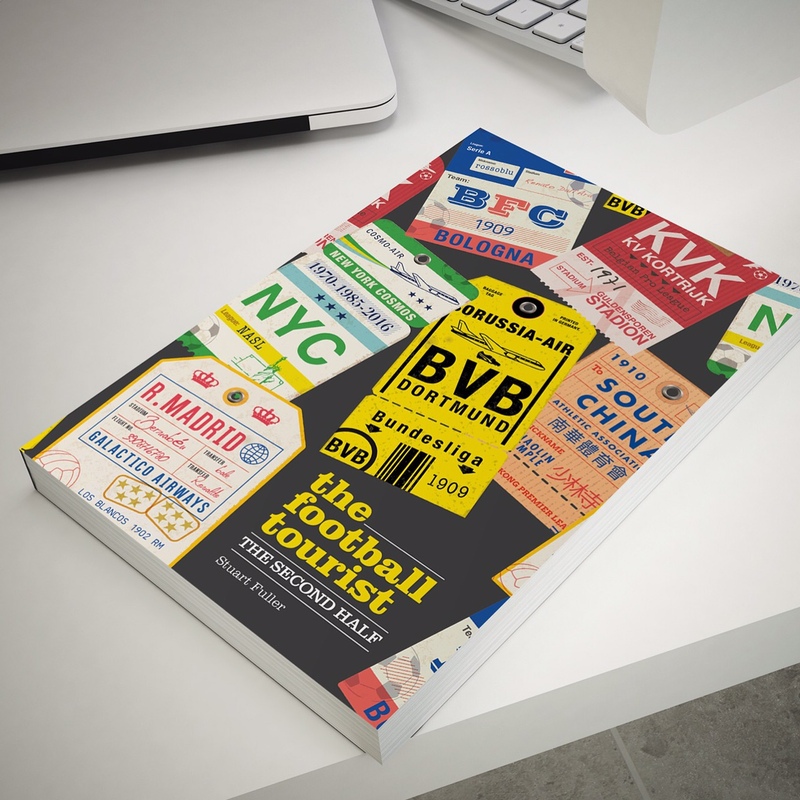 Nice club, nice people, nice fans and more importantly just a short bus ride away from TBIR towers. It is a rare treat I have these days that I can use public transport to get to a game (well, yes there are the ones in Germany/Denmark/Sweden/every else apart from Lewes) so I was going to make the most of it. The original game had been scheduled for mid-March but the rain had put pay to that game. But here we were, at the business end of the season with relegation still hanging over the heads of both teams. A draw may be good enough for both teams depending on results elsewhere, but nothing beats a win at this stage of the season to just relieve the nerves a bit. Once again the Lewes fans had come out on a beautiful early Summer’s evening on the London/Kent borders. As I entered the ground I was greeted with a familiar sound. “Golden Goal Sir”..how could I resist? Two pounds invested, let’s just hope the first one was a Lewes one. Next stop a pint of Asahi, a bacon and cheese burger and three points please? St George’s Day 2013 9:37pm. We are deep in injury time and Lewes are losing 2-1. This wasn’t in the plan. In fact I don’t think anything was in the plan. Tonight was just about getting a result and it looks like we are leaving empty-handed. Well, almost. I still have a smile on my face from the 35th minute. A real bitter-sweet moment for me when Cray took the lead with a huge slice of luck, the ball falling from a great height and hitting the completely unaware Bremmer on the head and bamboozling Keiron Thorp in the Lewes goal. Golden Goal time 35 minutes. Woo-hoo! The Cray stewards even went an collected my winnings. Top club as I said. One became two on the stroke of half-time when another hopeful ball was played into the area and the Lewes defence decided to all stand around and watch whilst Young wandered into the box, choose his spot and bury it in the corner. Whilst events in the Champions League brought a mild smile to our faces at half time, the thudding realisation that trips to Mertsham and Crawley Down Gatwick were back on the agenda made the Swiss Roll taste all that more bitter. Still we had 45 minutes to make it right. Forty five soon became ten minutes, and hope was disappearing. Then a mix up in the Cray defence saw Crabb walk the ball into an empty net to give us something to shout about. Two minutes later and Chris Breach’s header was cleared off the line. We could still save this game, but time was running out…fast. Four minutes of injury time were up when Harry Harding calmly laid the ball into the path of Nathan Crabb after a game of pinball in the box and he drilled it low into the corner of the net. The question at this point has to be who didn’t end up on the pitch celebrating? The bench, the subs, Jack Walder and Callum Donaghey, both injured and of course Cynical Dave. Of course, Dave. Finally, play restarted (again hats off to Cray’s stewards who simply shepherded everyone off the pitch and no more), the referee blew for time and we had a point. In the grand scheme of things it was as vital as the three points were at Harrow on Saturday. Thursday night would determine whether we would be playing for survival on Saturday or not. But for now it was the best St George’s Day ever. A last minute goal, a big celebratory bundle and £45 in my pocket for Golden Goal. 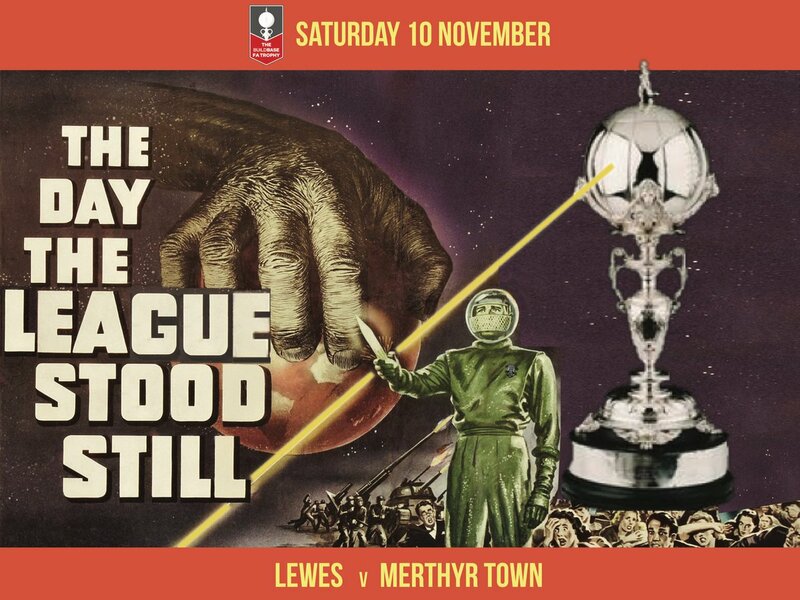 This entry was posted in Lewes FC, Non league football, Rymans Premier and tagged Bromley, Cray Wanderers, Hayes Lane, Lewes, Ryman Premier League. Bookmark the permalink.